BIRTH: About 1587, probably at East Bergholt, Suffolk, the son of Bartholomew and Mary Allerton. [Details of this recent discovery of Allerton’s origins are scheduled to be published in the next issue of New England Historical and Genealogical Register and are briefly referenced in NEHGR 173:5-17]. FIRST MARRIAGE: Mary Norris on 4 November 1611 at Leiden, Holland. 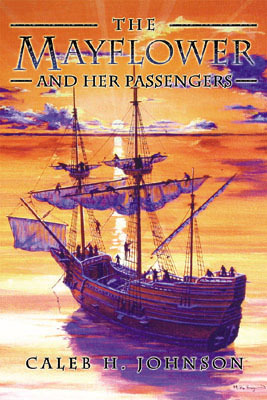 SECOND MARRIAGE: Fear Brewster, about 1626, at Plymouth, the daughter of William Brewster. THIRD MARRIAGE: Joanna Swinnerton, sometime between 1634 and 1644, probably at Marblehead. CHILDREN (by Mary): Bartholomew, Remember, Mary, an unnamed child buried in Leiden, and a stillborn son born in Plymouth Harbor. CHILDREN (by Fear): Sarah and Isaac. DEATH: Between 1 and 12 February 1658/9 at New Haven. Recent discoveries, soon to be published, show that Isaac Allerton was almost certainly the son of Bartholomew and Mary Allerton of East Bergholt, Suffolk. In 1609, he was apprenticed to London blacksmith James Glyn, but he broke out of the contract within a couple years and went to Leiden, Holland, where on 4 November 1611, when he married Mary Norris. 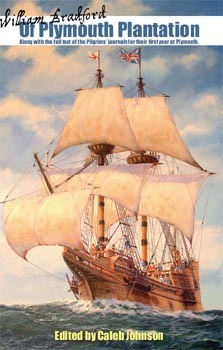 Isaac had a sister named Sarah who also resided in Leiden, and who married future Mayflower passenger Degory Priest. 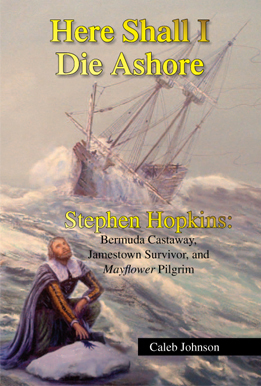 He was probably also related, perhaps a brother, to Mayflower passenger John Allerton. Isaac Allerton is one of the most complex figures in early Plymouth Colony. He was elected assistant to Governor Bradford in 1621, and continued in that capacity well into the 1630s. He was the individual sent to handle most of the buyout negotiations with the London investors that commenced in 1627, and continued through the early 1630s. Allerton soon began to take advantage of his position by engaging in some personal trading deals, and engaging the Pilgrims' joint-stock company in business ventures they had not authorized. After driving the colony deeper into debt with ill-advised business opportunities, he was eventually removed and replaced by Edward Winslow. After the death of his wife Fear in 1634, he retreated to the New Haven Colony and married there to Joanna Swinnerton. Allerton became an active merchant trader, engaging in transactions and trade with many neighboring colonies including the Dutch at New Netherlands; New Sweden; Virginia; Massachusetts Bay; and Barbados.